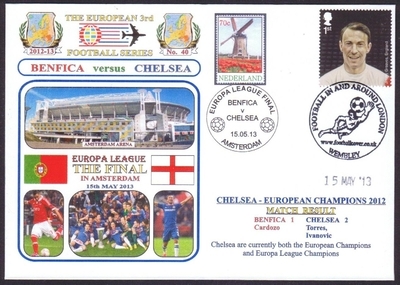 Chelsea create more history by winning the Europa League Trophy whilst still being the European champions! 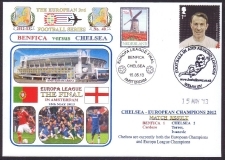 This cover with a Jimmy Greaves stamp - past player for Chelsea is very appropriate. Handstamped with the Wembley "Football" handstamp on date of the match.